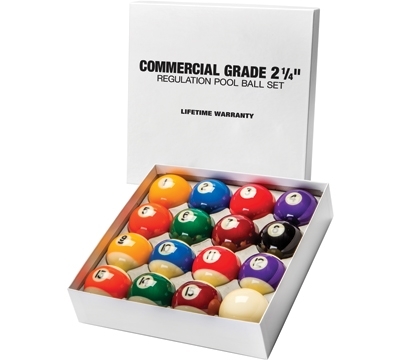 A great looking, great playing, reliable set of 2 1/4” pool balls at a great price. A quality pool ball set with a lifetime warranty makes this a no-brainer. Regulation weight and size. Includes white 2 1/4” cue ball.